The first day of spring is finally here! 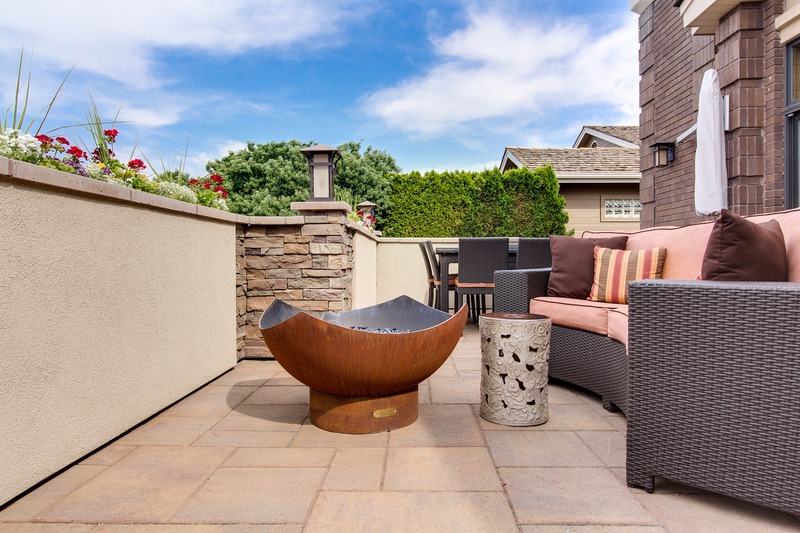 Get ready for warmer temperatures and outdoor entertaining by working to prep your patio first. After the winter we just had in Maryland, this space (and its surfaces) likely took a beating. Fortunately, you should be able to clean it up and have it ready for use in no time! Whether your patio is made from pavers, tiles, bricks, concrete, and/or flagstone, a little sweeping in is order. By removing all the winter debris, you should have a better idea of what damage—if any—this surface sustained last season. For a deeper clean, you can even break out the hose, gently washing as you go. Depending on what material(s) you have in your patio, many professionals won’t recommend power washing. Too much force could potentially dislodge pavers from their pattern or even remove the top layer of the surface. So, you’re better off starting slow and then using the proper cleansers to address any issues you uncover. While there are many options to choose from, it’s best to test the solution on a small part of your patio first. Even if you pick a cleaning agent that’s specifically created to treat your pavers, or flagstone, or whatever, it may be too acidic. They’re usually harsh to help remove that stuck-on dirt and grime accumulated over the seasons, but that doesn’t mean they won’t strip or otherwise discolor your patio. You may need to dilute the solution before use, but no matter what—be sure to thoroughly rinse all surfaces after you’re finished. If you find that just wasn’t enough to remove serious stains or other blemishes, simply replacing the damaged pavers might be a better option. Once you have a clean patio, it’s time to decorate it for spring! Whether that means breaking out your existing furniture and cleaning it off or buying some new seating. Never underestimate the power of having a comfortable place to sit and relax—for you and all your guests. Don’t forget to save room for your grill now that temperatures are starting to warm up. If you’d like, you can also spruce up the space with other springtime decorations. From potted plants, to twinkling lights, to anyone of these adorable Pinterest (link to https://www.pinterest.com/tsbentzel/outdoor-decor~-spring-summer/) ideas. These finishing touches will bring spring to your outdoor living. Of course, if you need any help with your patio, you can always contact us! We’re more than fencing and decking—consider us your outdoor experts. Whether you need a replacement, an extension, or a new patio altogether, we can work together to prep for spring. And bring your dream project to life!